In December 2017, the United States Congress passed a sweeping new tax bill, the Tax Cuts and Jobs Act, the largest such legislation since the 1980’s. The bill contains many changes to both individual and corporate tax rates, deductions, and other elements of the tax code, and repeals the Affordable Care Act’s individual mandate penalty. 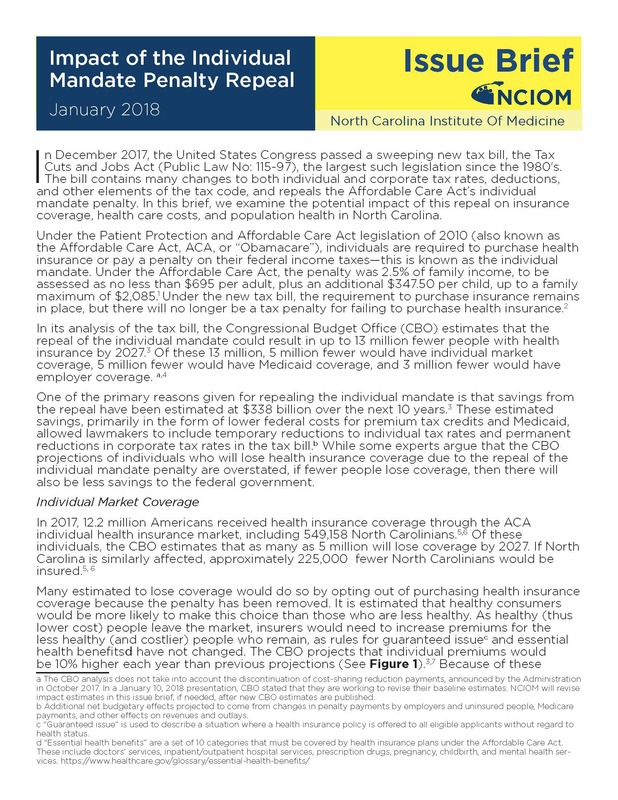 In this brief, we examine the potential impact of this repeal on insurance coverage, health care costs, and population health in North Carolina.